Whether they’re in tents, abandoned buildings, shelters, or on the streets, many people in the Halifax Regional Municipality are living without a home. Council voted 16-0 Tuesday in favour of having a staff report conducted on adding money in the budget to combat homelessness. They will look into adding $90,000 a year for two years to fund the Navigator Street Outreach Program throughout HRM. The navigator program deals with the issues of homelessness and panhandling in the downtown area. Coun. Steve Craig brought the motion to council because he wants to see the program expand. “There are people outside of the downtown area that are completely homeless and living in wooded areas, abandoned buildings and/or couch surfing,” said Craig to council. He said there’s a major gap in the HRM between those who are homeless, and those who are in a position to help the homeless. The gap refers to individuals who can identify homelessness and who can help those who are homeless. The 2018 Point in Time Count, released by the Affordable Housing Association of Nova Scotia, found approximately 197 people within the HRM stay in homeless shelters every night. Approximately 18 people have no shelter. The Point in Time Count also found homeless isn’t confined to one age group, as ages ranged from 16 to 80 years old. These stats do not include those who are a part of the hidden homeless population, which are people who spend their nights in wooded areas or abandoned buildings. Kevin Hooper, manager of partnerships and community development for United Way Halifax, said Halifax’s biggest problem in combating homelessness is affordable housing. “The root is capitalist economic structures and a speculative real estate market that treats housing as a commodity, and not a basic human need or right,” said Hooper. 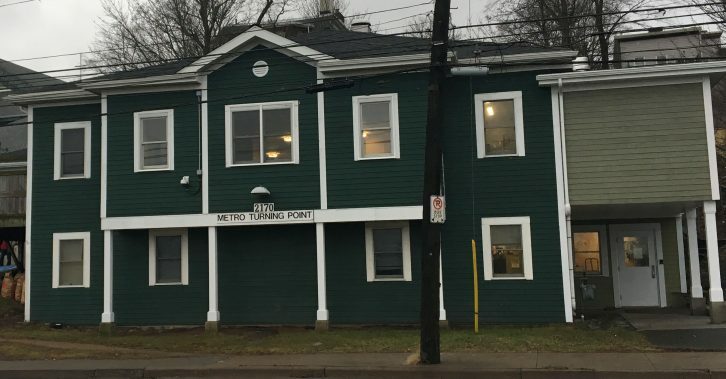 Sarah White, marketing and communications officer for United Way Halifax, said they’ve looked at repairing older buildings, but it’s not an ideal way to create affordable housing. “A lot of rooming houses have disappeared in the last decade; many were in poor condition or unsafe and the land is more valuable to developers building multi-family buildings,” said White. White said homeless people who are given shelter and have a support system typically stay housed longer and use emergency services less frequently. She said the problem with this is, once outreach workers are able to shelter and support one homeless person, they have to try and do the same for numerous others. Once municipal staff finish their report and present it, council will see if there is extra funding in the budget.